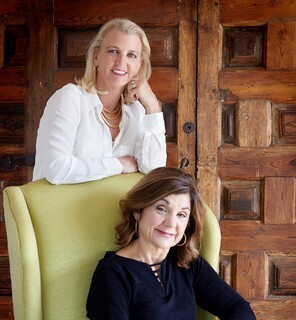 Interior designers, Maryellen Hodapp and Christy Soldatis, offer full-service interior design services - from conception through implementation - including general contracting oversight. Sassy Green Interiors has assembled a team of skilled electrical, plumbing, finish carpentry and painting contractors as well as seamstresses and upholsterers to serve their clients. As an added benefit, clients enjoy Sassy Green Interiors’ direct purchasing relationships with unique vendors. Decades of design experience combined with an unparalleled commitment to client satisfaction help to ensure a smooth design experience. The Sassy Handyman, a service of Sassy Green Interiors, caters to all home maintenance needs, including light carpentry, electrical and plumbing as well as many other handyman services. The husband and wife team of Maryellen and Michael Hodapp, owners of Sassy Green Interiors, bring their clients complementary areas of expertise in the fields of interior design and home maintenance. Sassy Green Interiors offers the advantage of established relationships with skilled electrical, plumbing, finish carpentry and painting contractors.